Experience the new standard in practice guides. 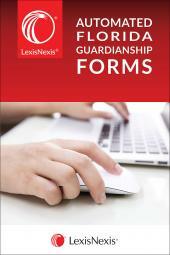 The LexisNexis Practice Guide: Florida Contract Litigation, authored by well known litigator Barry Davidson and other experienced practitioners, takes you step-by-step through the process of litigating cases involving contract claims, including the potential causes of actions, remedies, and defenses for a contract claim. 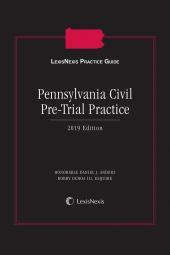 It also covers procedural topics such as jurisdiction, discovery, and alternative dispute resolution. This guide simplifies the process of litigating a contract case by identifying the essential elements and setting them out in a comprehensive yet easy to understand way. Additionally, you benefit from practical advice and strategy given by experienced practitioners and judges, and includes forms of the types of filings that attorneys are most likely to use in a contract litigation case. 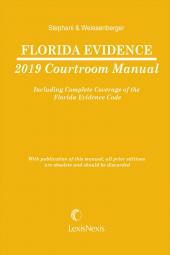 The LexisNexis Practice Guide: Florida Contract Litigation is part of our growing series which integrates with the LexisNexis Total Research System to provide easy access to relevant online resources, including public records, other Practice Guides for Florida, Matthew Bender analytical materials, Florida and national news sources, and more. Christopher C. Skambis is a member of The Skambis Law Firm in Orlando, Florida . His practice focuses in the area of civil litigation throughout the State of Florida , including commercial litigation, labor and employment, and business law. Barry Davidson is a partner in the Miami office of Hunton & Williams. His practice focuses in the area of civil litigation throughout the state of Florida , with an emphasis on complex and class action business litigation, intellectual property, antitrust and products litigation. Mr. Davidson also represents airlines and hotel companies and does eminent domain work. Mr. Davidson has tried cases in 28 Florida counties. He has represented every major US air carrier either separately or in industry litigation and represents International Air Transport Association and several foreign carriers. Among his professional accomplishments, Mr. Davidson brought and successfully settled a federal court action challenging a one billion plus Miami International Airport expansion on behalf of American Airlines with other carriers sharing the cost. He conceived and led legislative efforts to amend penalty portions of industry specific law to eliminate potential multimillion dollar class action liability. In addition, he successfully enjoined the misappropriation of the Picasso name on several occasions on behalf of the Estate of Pablo Picasso and successfully challenged Florida law on constitutional grounds in the areas of alcoholic beverage law, electric utilities law and aviation fuel tax. Judge Gersten has a distinguished legal career, with over 20 years of judicial experience. Since 1989, he has been an appellate court judge on the Third District Court of Appeal. From 1982 until 1989, he served as a circuit judge for the Eleventh Judicial Circuit, and from 1980 to 1982 he was a judge for the Dade County Court. Prior to this time, Judge Gersten was in private practice, after receiving his J.D. from the University of Florida in 1975. Judge Gersten has received numerous honors and awards, including the ''Best Judge'' Award from South Florida Magazine, the Boy Scouts of America's District Award of Merit, the Deed Club Children's Cancer Clinic's Deed Dear Award, the Grand Founder's Award, and the Benjamin Franklin Society's Library Award. Through his involvement in various legal organizations and civic programs, Judge Gersten contributes to the community in numerous ways. His past and present activities include memberships with the Florida Bar's Judicial Administration Selection and Tenure Committee, Judicial Nominations Committee, Professionalism Committee, Florida Court Education Council, Committee on District Court of Appeal Performance & Accountability, Domestic Violence Mandatory Judicial Education Subcommittee, Florida Association for Women Lawyers, and American Trial Lawyers Association. Judge Gersten's commitment to education is reflected in his participation as Associate Dean of the Florida College of Advanced Judicial Studies (1994-99) and as a faculty member (1994-present), lecturing in the areas of Alimony, UCCJA, Domestic Violence, Collegiality, Decision Making, Bio-Ethics, Florida Constitutional Law, Criminal Issues, and Civil Law Trends. Judge Gersten is a faculty member of the National Judicial College, Reno, Nevada, since 1997, and is an Adjunct Professor at St. Thomas University School of Law, since 1994. He often lectures to state and local bar associations, and has lectured to such groups as the State Judges of California, the State Judges of West Virginia, and the State Judges of Georgia. He is a regular lecturer at the University of Miami Symposium on Sexual Violence and Victims Rights, the University of Miami Inns of Court, and the University of Florida Inns of Court. 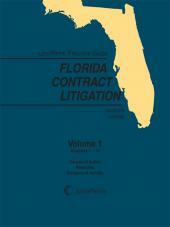 Additionally, Judge Gersten has published articles on a variety of legal topics. His publications include: Evidentiary Trends in Domestic Violence, (1998); The Doctrine of Lis Pendens: The Need For A Balance, (1995); Special Report: Legal Ethics in Florida, A Consensus of Morality In Ethics--Toward A Comprehensive Code of Professional Ethics, (1991); Manifest Necessity--A Trial Judge's Responsibility to Assure Justice, (1989); Matthew Bender, Florida Civil Practice Guide, (1994-present); and, reviewer: Florida Forms of Jury Instruction (1990-present).